Our All-on-4® procedure is one of the many ways we help patients restore health and aesthetics to their smile. This implant-based procedure is ideal for individuals that need entire rows of teeth replaced but in a gentle, effective way. With All-on-4 implants, our Woodland Hills dentist can offer you modern dental solutions to fully restore your smile. Dental implants are used extensively to restore individual teeth, a row of teeth, a full arch, or even all your teeth at once. Implant posts are made from titanium, which bonds with the bone in your jaw over time. The dental restorations affixed to the implant posts are generally made from porcelain and acrylic. Unlike other restoration options, dental implants do not need to be removed to be cleaned, and they leave the palate exposed so you can fully experience your sense of taste. This implant-supported procedure is one of the most advanced dental techniques available to patients. During this treatment, entire dental arches can be replaced and supported by just four dental implants. Whether you have decaying teeth or have been wearing dentures for years, All-on-4 can replace unsightly teeth and gaps, or secure difficult dentures with a set of natural-looking, beautiful teeth. When providing All-on-4 implants, Dr. Bandary works closely with you to decide the proper treatment plan for you. In addition to restoring the beauty of your smile, All-on-4 implants help preserve jaw structure, ensuring you retain sufficient bite force. 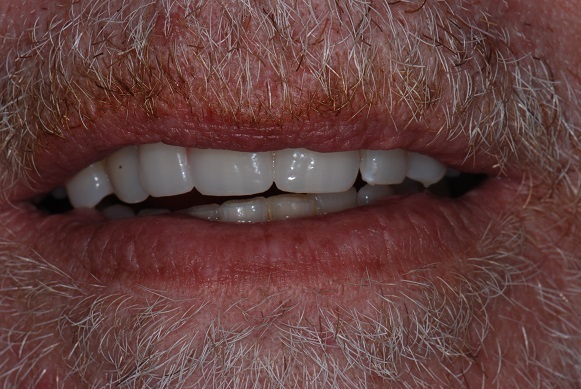 Often, patients with multiple missing teeth or those who have worn dentures for a long time can experience bone loss, which in turn, may create premature wrinkles, and weaken the overall facial structure. All-on-4 uses existing bone tissue more effectively because the posts are elongated and placed strategically. You may even be able to avoid bone grafts or additional structural procedures with All-on-4. 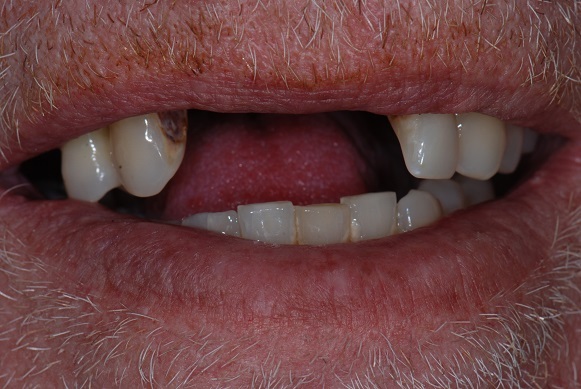 When a full arch of teeth needs replacing, this method of implant treatment accomplishes comprehensive dental restoration with as little surgery as possible. Only four implants are surgically inserted into the jaw in strategic locations. This minimal approach supports efficient healing and a comfortable, balanced bite. With implant placement full arch restoration, you can achieve renewed dental function and prevent the progression of bone resorption, which is the largest threat to your oral health. All-on-4 simplifies teeth replacement and makes the process easier for patients. This treatment is designed to withstand the daily pressure that biting, and chewing has on your teeth, which makes it an excellent option for those who are unhappy with how dentures have served them. This cutting-edge treatment uses modern materials and innovations that make most qualifying patients perfect candidates and has them quickly back to enjoying their normal lifestyle. Please call our office today to schedule a consultation to determine if All-On-4 is the right treatment for you. Dr. Bandary is happy to provide complimentary consultations to his Woodland Hills patients to determine if All-on-4® implant-supported dentures are the best choice for them. To schedule your consultation, please contact us today. **All images courtesy of Nobel Bio Care. Are you ready to get started with the All-on-4® dental procedure? Schedule an appointment with our dentist in Woodland Hills!